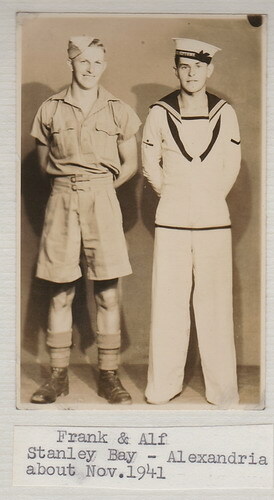 "SIMPSON, ALFRED G., ABLE SEAMAN"
The Simpson twins in October 1941 at Alexandria. Frank survived, Alf did not. 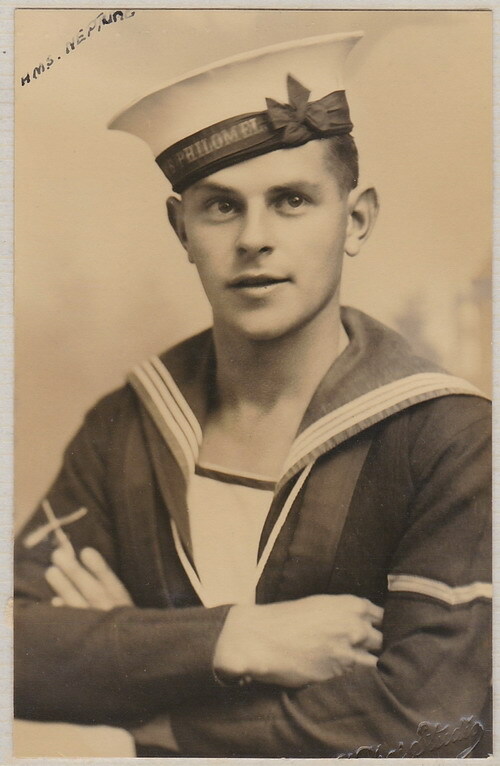 SIMPSON, Able Seaman, ALFRED GEORGE, 0/7310. H.M.S. Neptune. Royal New Zealand Naval Volunteer Reserve. 19th December 1941. Age 23. Son of Frank Alfred and Eliza Caroline Simpson, of Dunedin, Otago. His twin brother Frank served in the Army and they met at Alexandria in November 1941 - see Group Photo NZ.